My husband’s family goes to New Jersey for Christmas every year. Except for the first year we were dating I’ve gone with him every year. His whole extended family gets together on Christmas day to eat, drink, have fun, and of course exchange gifts. What makes this part of the day really fun is watching the children open presents and seeing the joy and delight in their eyes. This year we are changing things up and going to be spending Christmas with my side of the family here in Georgia. I’m so excited to finally spend a Christmas with my family again, which I haven’t done in so many years, but am going to miss the traditions of my husband’s family in New Jersey. Since we can’t be there to watch the kids open presents, we have to make sure we send them something extra special. That’s why I’m sending the kids a little piece of the North Pole with Hallmark’s Northpole products, available at Walmart. My husband has two cousins with daughters who are both 6 years old, who we are calling Maddie Grace’s cousins because we have no idea what relation they technically are, and the two girls have to have the same things, of course. 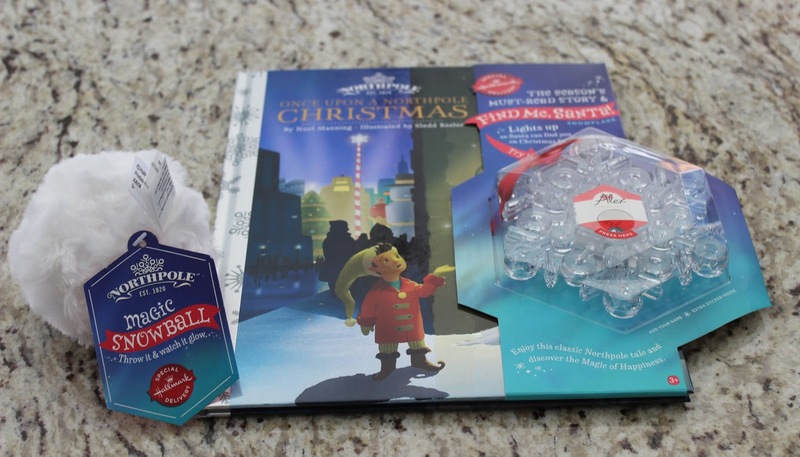 These girls have a very special place in our hearts and I know they will love the Once Upon a Northpole Christmas Story Book and Find Me Santa Snowflake as well as the Magic Snowball. 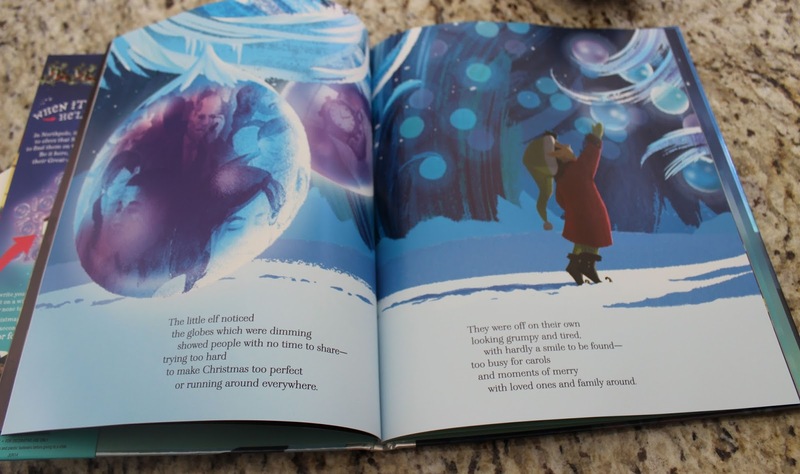 This book tells a cute story of the magic of Northpole, and has gorgeous illustrations. 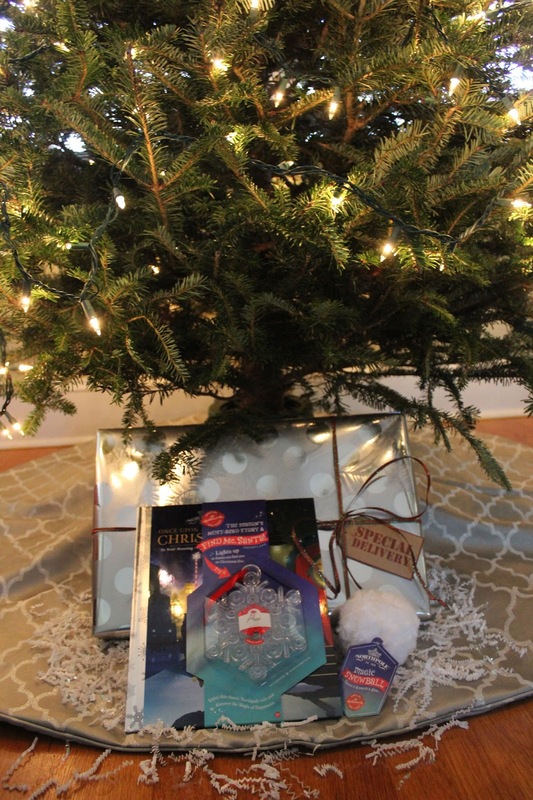 The ornament that lights up to let Santa know where you are is a great touch and compliments the book perfectly. 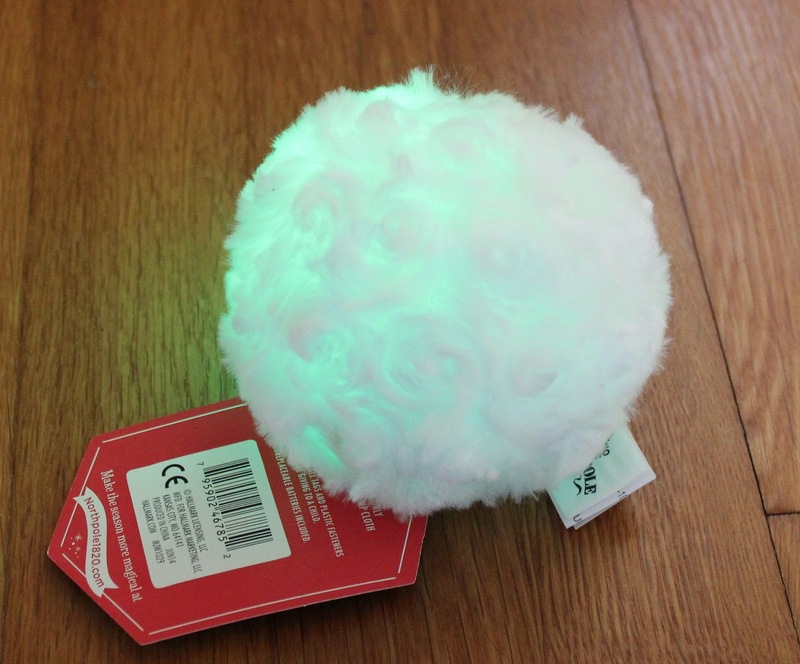 The Magic Snowball lights up when you throw it, and is just a lot of fun. Tom and I may have thrown these at each other while at Walmart to make sure they light up, and we seriously contemplated keeping them for ourselves. Since my in-laws are driving to New Jersey, I went ahead and wrapped up the gifts to go up there for the girls. Not going to lie, another one of my favorite holiday traditions is drinking hot chocolate and wrapping presents. Every year as a child I would help my mom wrap presents. We would make tags for the presents by cutting out images from the fronts of Christmas cards we were sent the year before (as long as there was no writing on that side). We hardly get any cards that aren’t picture cards so we can’t really make our own tags, but I do still love wrapping presents and put a lot of effort into making them look nice. I love the holidays and I love the traditions that come along with Christmas and New Years. Thank you so much for sharing. Traditions truly make the holidays. My favorite holiday tradition is waking up early and driving to my parents' house to open presents first thing in the morning. My younger siblings still live at home so I try to get there as they're waking up! Aw that's so fun! I always loved that too! My favorite tradition is watching Christmas Vacation with the family! YES love it! We have it on DVD and watch it all the time! I'm seriously going to have to go buy some for my husband and I as we have had so much fun with them! Great idea. I love Christmas eve, we decorate cookies for Santa and each open one present. So much fun! We always did the one present Christmas Eve growing up as well! Thank you! 50% off at Hobby Lobby! Aw, I love this gift combination! It's so cute!! I hope the kids do too! This is so cute! I need to finish buying all my presents. My dad always used to make a great scene on Christmas Day and father christmas had always made a mess in the sitting room. 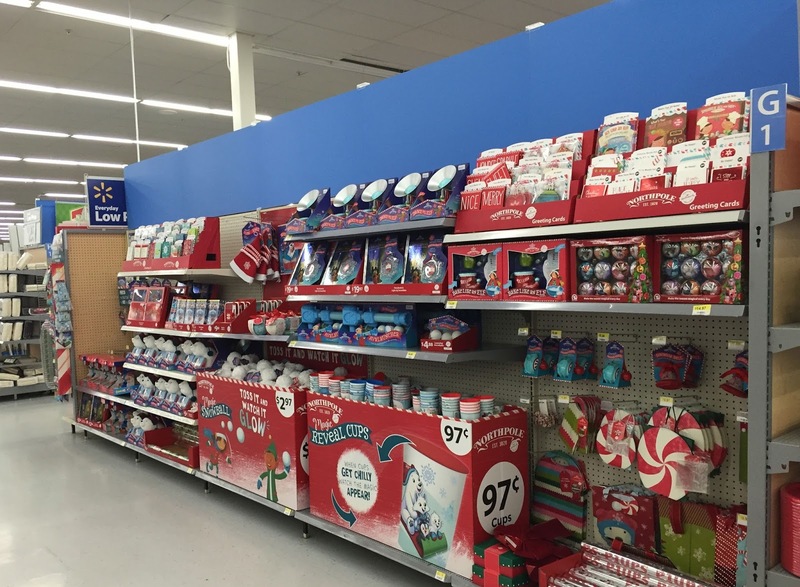 I always found it amazing how they had managed to fill our stockings without us waking up! Isn't it amazing now to realize all that our parents would do for us? I love that! I'm obsessed with ornaments and love the meaning behind all of them! 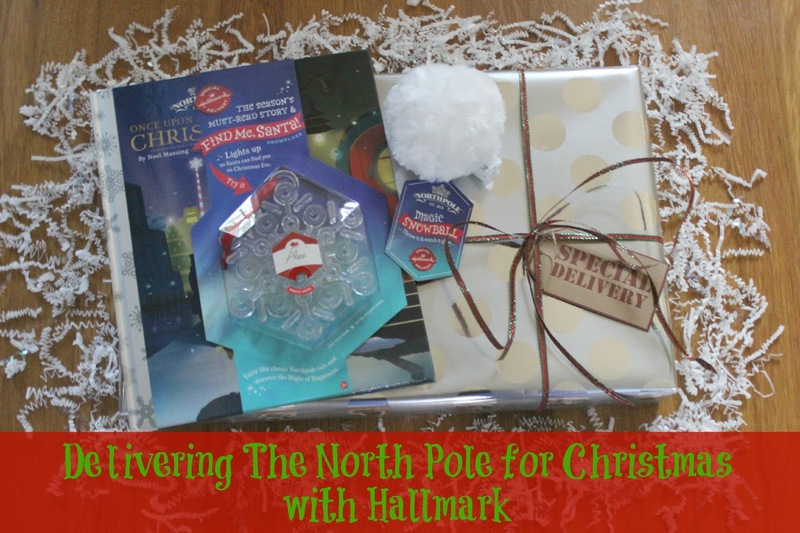 We picked up the North Pole communicator and the package to write a letter to santa – I love these products! I thought the communicator looked really fun! I love the tradition of stockings. I also love that we all have cards for each other. I have kept all my holiday cards for YEARS now. I just bought us stockings, can't wait for them to come! Someone just mentioned it, but my favourite tradition is also watching Christmas Vacation with my family…. against my husband's will… he's more of a Christmas Story kinda guy. 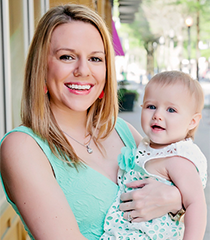 But what a cool thing to do for those who have kids! I will have to keep this in mind! 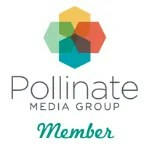 Somewhere along the way I missed the blog redesign! I love it. The pink is just the right touch. That last picture is precious! This is one of my favorite times of the year. And I love the way you wrapped that present. It is so cute. Great idea for young kids! I love the wrapping paper you chose too. I don't know that one! Will have to watch it! 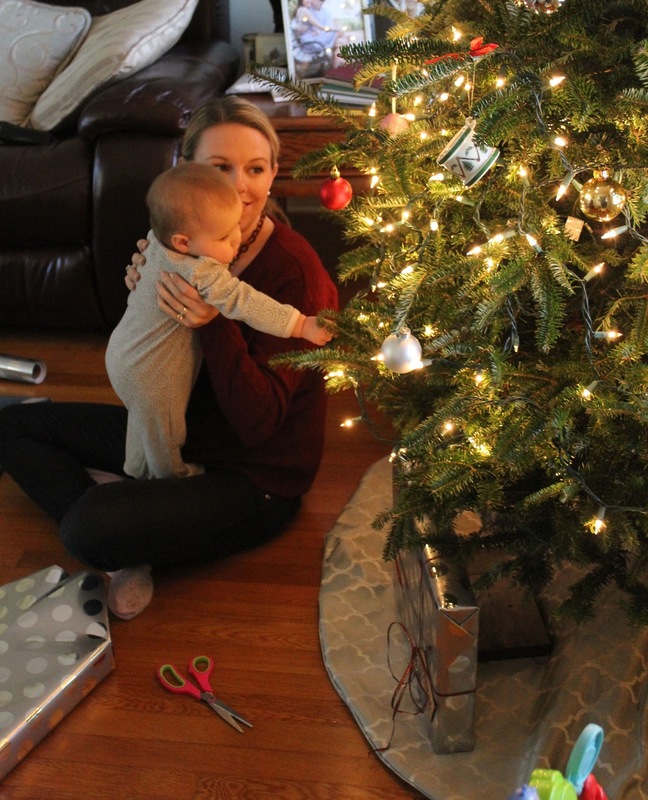 Such a cute tradition – and I totally needed that little lesson on how to wrap a gift lol! Awww I love that picture of the baby reaching for the lights! My family has lots of traditions, but now that my sisters and I are grown our traditions are changing, but something we can treasure forever! I absolutely love wrapping presents! And the north pole collection is too cute, I was looking at it tonight at CVS. How fun! 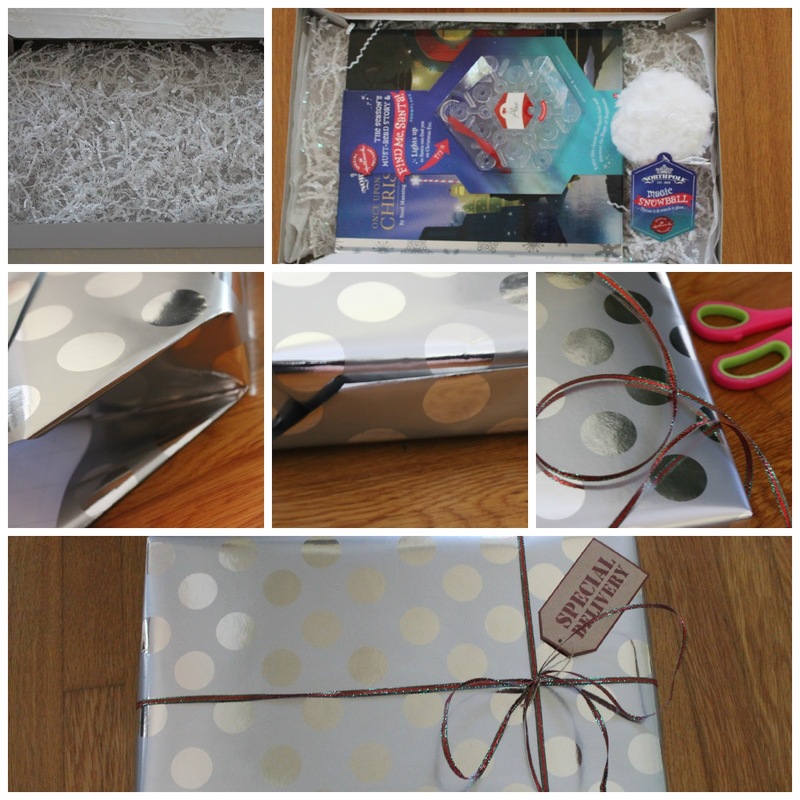 I'm wrapping presents this week and I'm so exciting, it's also a holiday highlight for me!